Instruments - Verimation Technology Inc. 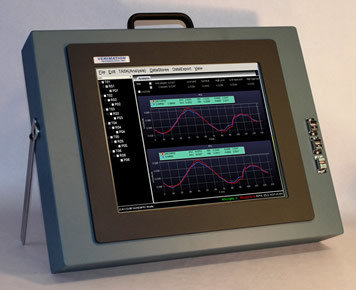 Since 2004, Verimation’s advanced VERIMET U1000 Instrument has been integrated into all gauging systems. 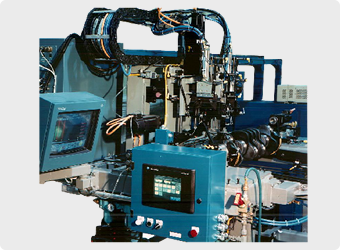 Built with modular software and hardware components, the VERIMET U1000 can handle the most challenging dynamic and / or static gaging applications with a single instrument built on standard Microsoft and industry-standard technology. With the following standard features: Temp Comp – Tool Comp – Spindle Comp – GR&R Mode – Bias Mode – Advanced Filtering – Configurable Screens and Unlimited, Flexible Data Storage, the U1000 processes output from Digital Measurement Sources to perform all of your Measurement Requirements. Developed primarily for Static Gaging applications, the MINI-U carries all the sophistication of its big brother the U1000. The MINI-U is a perfect companion for bench top gages, utilizing DIGITAL PROBES. This is an UP-SCALE instrument for applications that demand more than the typical portable gages so popular today. Housed in a STEEL cabinet, this is a rugged instrument worthy of every day factory use!